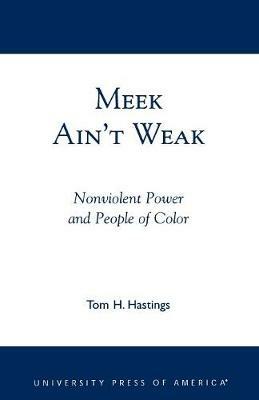 Meek Ain't Weak is a fresh examination of the indigenous roots of mass liberatory nonviolence. From African regions to South American culture, from Asian worldviews to the wisdom of the ancients of the subcontinent, the origins of nonviolent conduct in conflict are both important and ignored. This new approach to understanding national liberation and nonviolence will be of interest to those who study identity conflict, strategic studies, peace studies, international studies and the theory and practice of nonviolence.